Served with a delish yogurt sauce, the salad will send your taste-buds on a roll. 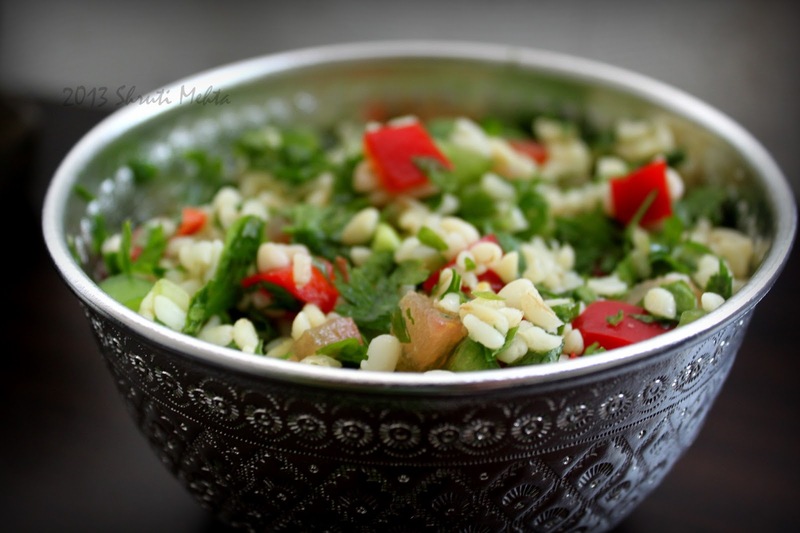 To assemble, toss the fluffed bulgur with finely chopped parsley mint red and green bell peppers cucumbers tomato. By the way,you can definitely add more than 2 bunches of parsley. Parsley stems are pretty hard, you definitely want to make sure that you destem the bunch almost completely. 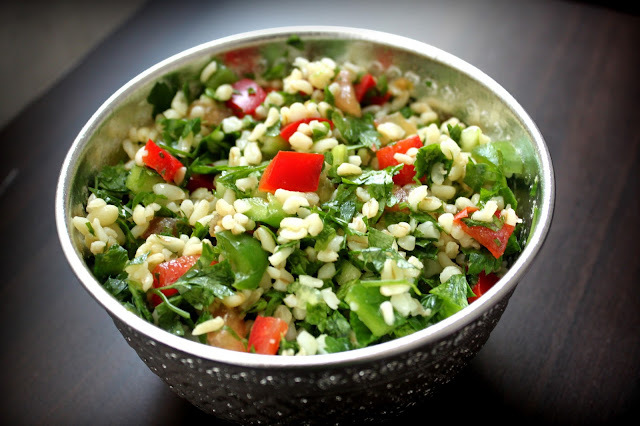 Toss the feta if you are adding the same, lends a flavor of greek salad to Tabbouleh ( not traditionally added though, I didnt add in the recipe shown).Make the vinaigrette by mixing the lemon juice and salt to the olive oil , make a good emulsion. Pour over the salad and mix thoroughly. 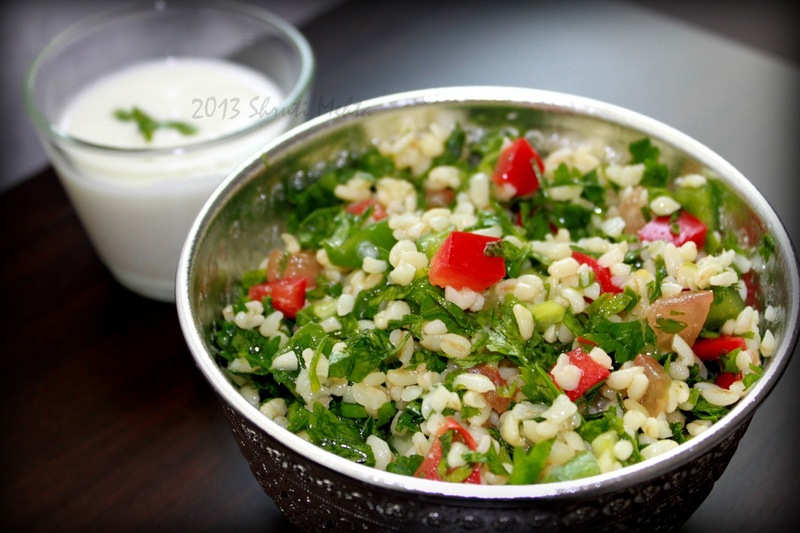 Serve the tabbouleh at room temperature (or with bulgur wheat still warm) along side the chilled yogurt sauce to top. 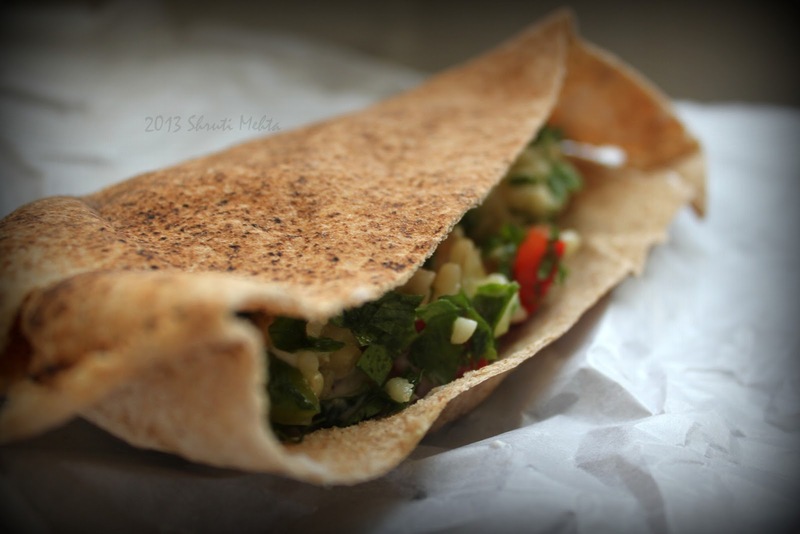 Alternatively, serve as salad pita pockets and indulge. A superb picnic food. Easy to travel.